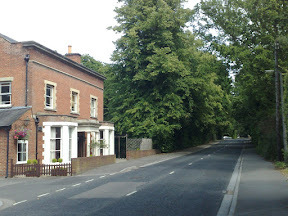 The Waterloo Hotel, on Dukes Ride, is no longer connected to Wellington College (as far as I know). For the most part, the building exterior has not been altered a great deal since the postcard was published. It was known for keeping Penguins in the garden. It was proably late sixties early seventies, I am not sure. I was told they were killed by mindless yobs with beer glasses and not re-stocked.